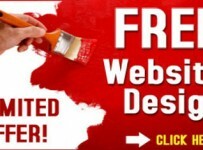 Are you interested in running your own website, but not sure if you can afford it? With the right techniques, you can drive down the costs of maintaining your site to $100 a year or less. Consider these easy methods! When you pre-pay for Web hosting, you will often have the opportunity to get discounts of 10 to 15 percent. This can add up to a significant amount over time and may be just what you need to save on your budget. Note that in order to get the best discounts, you may need to pay for a year, two years or even three years of hosting. Because of this, you shouldn’t pre-pay for hosting until you are sure you want to stick with a host for the long haul. Shared hosting is generally the most inexpensive method of hosting — with VPS and dedicated hosting being progressively more expensive. There are certain risks and drawbacks to shared hosting, but a young site can usually bear them. Under a shared hosting plan, the resource use of other websites on the server can have a negative impact on the performance of your site. 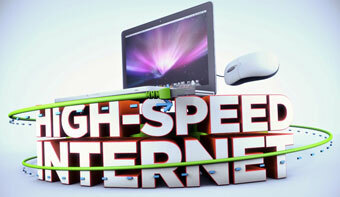 Likewise, security is not as strict as it is in VPS and dedicated hosting plans. However, smaller sites usually have no problem with shared hosting. 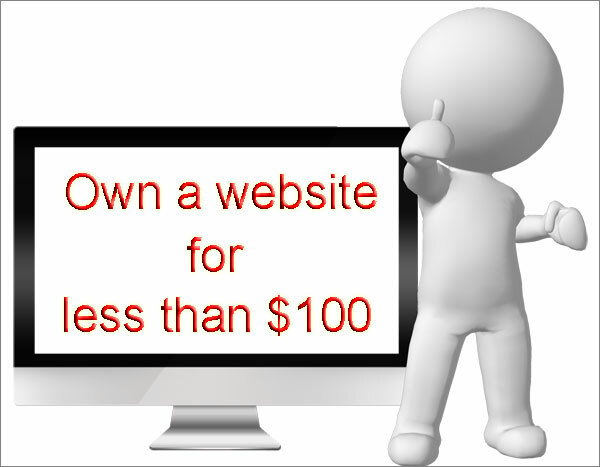 Domain registrars occasionally provide coupons for domain registration and renewal. Since this is something that you will have to look into every year, you should always be on the lookout for savings. You can also sometimes get savings by paying for several years of registration. While GoDaddy doesn’t have the best reputation, they are a great resource for those on a budget because they are usually the lowest price place to get domains. You can find coupons codes for GoDaddy to save money – make sure you check them out before buying. There are many different platforms out there that will allow you to easily organize and style your website without advanced technical knowledge. One of the most popular and powerful of these is WordPress, which is used for blogs and corporate websites. These systems are free to use and their technical requirements are met by the majority of Web hosts, even those providing shared hosting exclusively. They have been designed to be easy to use, so the learning curve for getting started with them is gentle. WordPress is one of the most popular open source CMS. If you are using WordPress or another content management system, you’ll usually find that you can completely update the appearance of the site using free themes. 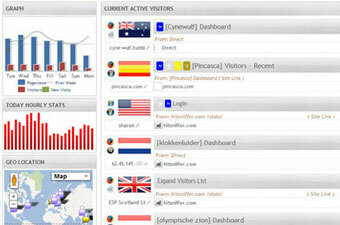 These themes are developed by Web designers and then showcased for anyone to use. With a theme, you can rearrange the elements of your content, add new elements or change your color scheme. All of the past, current and future content on your site is instantly updated and everything will be in keeping with the free theme you choose. If you are trying to get noticed in a very competitive Web “niche,” you might be tempted to hire others to write content for you. This is not usually cost-effective in the long run. Writers you find on big content “brokering” websites may or may not be knowledgeable or competent. Instead of hiring writers to create content for you, consider writing it yourself and putting your own spin on each topic. Even if you don’t consider yourself a writer, remember that some of the “schoolhouse” rules of writing are more flexible for bloggers than they are for essayists. One of the most important aspects of making a website attractive is making sure it has plenty of distinct visual elements. However, hiring a graphic designer or a photographer can be extraordinarily expensive, especially when your budget is limited. There are many popular sites on the Web that provide royalty-free images released under a “Creative Commons” license. This gives you the power to use images as you see fit, often even if you are using them to make money. Be sure to read licensing agreements carefully. Check out FreeImages.com and Pixabay for free images for your website. 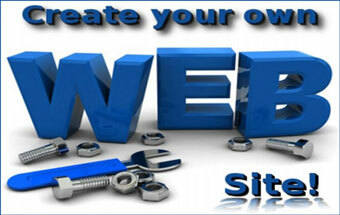 SEO or Search Engine Optimization is another part of cultivating a Web presence that can be very expensive. The goal of SEO is to ensure that you show up near the top of the results for search engine queries that relate to your site. Search traffic can be very profitable, so competition is fierce. Despite that fact, though, you can quickly learn the basics of SEO yourself. Likewise, most SEO practices can be done by hand without spending any money at all. If you are in a niche that isn’t very competitive, you could have a major impact on your rankings. Check out Moz’s guide to SEO for beginners. It is a great resource. If you want to make sure you will always be able to afford the hosting your site needs, consider monetizing it. Simple text ads like those provided by Google AdSense can help you to make a small amount of money from your site and cover its costs. Although nobody likes to look at ads, there are unobtrusive ways to introduce ads into your site that won’t agitate your visitors. If the ads you use are closely tailored to your Web audience, you might garner a few clicks a day and even turn a profit. Check out Google’s Adsense for a way to make some money with your website. If your site is related to any product or service, you have a golden opportunity when it comes to affiliate programs. In an affiliate program, you link to products your visitors might want to buy, getting a cut of the proceeds with each sale. Affiliate sales can be worth anything from a dollar to a thousand per sale depending on the product. Under the right conditions, just one of these sales could be enough for you to finance the operations of your website for an entire year!